Like sunsets and the grand-kids, flowers are up there as a popular subject for photographing. They also suit close inspection with the macro lens, extension tubes or whatever you use for your close-up work. But getting in that close can be a bit of a lighting problem, so here are some simple lighting techniques you can use to enhance your macro flower shots. I have a preference to working indoors with flowers. For the purist who likes to be ‘au natural' with their floral photography, I apologise. Being outdoors is a virtuous pass-time and should be commended. But for those who understand my circumstances, my time under the Southern Sun is limited by ‘She Who Must Be Obeyed – and promptly.' Besides, I have better control over the light, the atmospheric conditions such as wind and rain and no control over my keeper. I also don't have the problem of nosy neighbours asking me difficult questions or setting their dogs on me. In the ‘dungeon' I have set up a simple macro studio for this and other miniscule subjects, which consists of a backdrop of black (or white; whichever takes my fancy) velvet draped over a table near a large window facing east. My light source will be of three types; DIRECT SUNLIGHT (between sunrise and about 10am), DIFFUSED SUNLIGHT (all day) and FLASH (day and night). Direct sunlight through window in the morning. A tripod is highly recommended. I also use a remote trigger (either radio or cable will do) for the camera to avoid camera shake. My weapon of choice is a macro lens but the lighting will work for all macro methods. I've been known to use extension tubes, reversing rings, magnifying filters and even shooting through a hand-held magnifying glass. Desperate measures call for desperate times, they say. Many photographers avoid this type of lighting on flowers. I'm rather fond of it. Being a single key light the illumination on the flower will produce strong well defined shadows which often take on a form of their own. Investigating these forms through the lens is an exciting and rewarding process. A simple technique with shadows such as this is to make them the subject of the image and provide just enough detail of the structure of the flower which creates the shadow. The flower starts to take on an almost sinister look; certainly abstract and sometimes surreal. While investigating your point of view, instead of moving the camera, move the flower by rotating and shifting it back and forth on the table. You can do this while still looking through the viewfinder or switch to ‘live view' if you have it. If you want some of the shadows to be lifted just a bit, use a piece of white card to reflect some light into those areas. I've made up a few ‘reflectors' from white foam-core board. You can get it free if you're willing to rumble through the local framer's bin. You can focus either by using the manual focus ring on the lens or set the focus ring and move the flower until sharp focus is achieved. I find auto focus a bit of a hassle for macro work. I know why but I'll leave that for you to find out. To achieve this I will place a large white sheet over the window irrespective of the time of the day. This works like a humungous soft box and shadows almost disappear. Light diffused by sheet over window. But so does a good deal of the light so keep an eye on the shutter speed, especially if you are using small aperture settings. Don't be deterred if the shutter speed looks more like the intervals on your oven timer. As long as you don't breathe and use your tripod and remote release, you will be fine. The effect of the softer light is to reduce the contrast and saturation somewhat and the image may seem a bit ‘flat'. Don't be deterred. This has its own appeal and you can increase the interest by searching for lines and forms and creating interesting compositions. Personally, I think the flowers take on a more romantic feel (Yeah, I know what you're thinking. ‘Dinning! Romantic?' When I need to be). You can still create different effects by rotating the flower in front of the lens. For this I use an off-the-camera flash triggered remotely by the camera. If you don't have that luxury, use a continuous light source like a fluorescent lamp. In either case, rig up a soft box of some sort that will diffuse the light as much as possible. Reflecting the light from a white card will do as well but I find there is a lot of light lost and I'm then limited to large apertures. That's OK if you want small depth of field but its worth looking at all the options since you went to so much trouble in the first place. For the continuous light source, simply drape a white sheet in front of the light. For the flash, I've built my own soft box and it works like a charm. This is where things can get interesting because we can now move the light around to get different effects. Try positioning the light source to illuminate from the front, sides, under, over and from the rear. Each will give a different feel. Don't forget to change your aperture during any of these lighting options to get different depth of field. Selective focus can be as interesting as everything in sharp focus. There is some contention regarding the use of the likes of f:32 for sharpness. Don't be deterred by the cynics. I promise I won't mention it to anyone. I use this ‘micro-studio' for lots of other subjects as well. Bugs and amphibians are a problem if they escape. They usually turn up in the most unwelcoming places. Food is good. In fact, anything that fits on the table. I'll look forward to seeing your results and initiatives. This is a guest tutorial from Light Stalking community member and professional photographer and teacher, Tom Dinning. 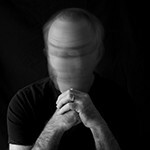 Check out Tom’s photography website and his blog for some great photos and tutorials.